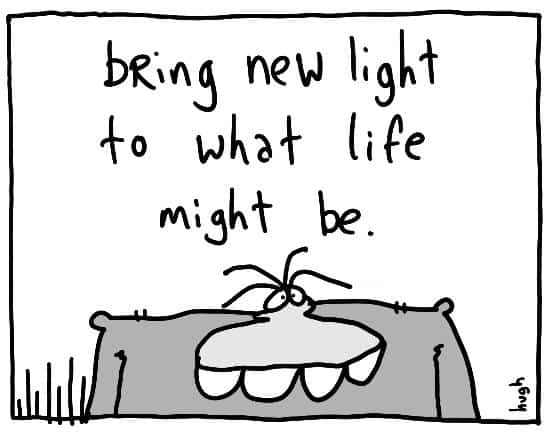 Home / Cartoons / "bring new light"
I drew this cartoon this morning. My first of the year. The fellow in the cartoon is “Gloop”, a character I’ve been using since college. He pops up in my work now and again. Part Alter-Ego, part Everyman. 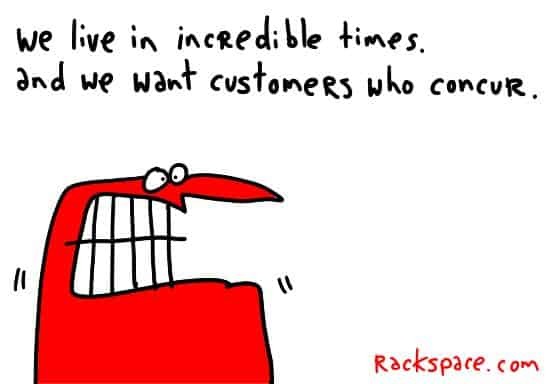 Most people who read gapingvoid are creative people; that’s not just an opinion, that’s just how it worked out. This cartoon is for them. For you. “Bring new light to what life might be.” That’s what Creativity means. That’s why you were born; that’s why you are here. To bring some new angle to the human condition- if not to the broader world in general, then at least to your family and the people around you. You don’t have to believe this- this drive may not be your drive, may not be the thing that propels you forward. That’s fine. However, if you DO have that capacity within yourself and you DON’T act upon it, then everything around you turns to desert. “Bring new light to what life might be” is my wish for you in 2011. Godspeed. “Bring new light to what life might be.” Happy 2011 to you too. And I thought I might just cruise through to 2012. Now I have to sit here in Tempe, Arizona, and worry about how everything around me turned to desert. When I wanted everything around me to turn to dessert. Gloop. That’s not a bad name for some dessert. Hugh, of course this speaks to me but I have to say that I firmly believe that we are all divinely created and uniquely designed for something spectacular. Many someone isn’t connected to a ‘drive’ to embrace their divinity but we all have it within us. I imagine a community where we all step into this light… imagine the brilliance. Yes, that’s what they mean when they speak of “the christ within you” (Small “c”). Finding light and staying in it, is harder for me in the winter, and as an loner/independant entrapreneaur. Do you do animations, or just simple cartoon stills? Cool, keep up the good work! I wish I had kept on doodling when I was a kid. Especially since I teach people how to use light to beat the blues and I firmly believe we all need more light in our lives. Then again, I love all your drawings. Hey Marsha, having spent many winters in Scotland, I know all about how important light is… and what happens to poor souls when it goes away. One of the reasons I’m currently in Miami…. Trying to move south myself, to the Carolinas. BTW, is there anyway I could use this drawing on my site, with attribution and a link back to you? It’s so perfect. These days I feel sucked dry. I’m tired and feel as though I don’t have the capacity to “bring new light”. But that’s all I want to do. It’s hard to feel so empty when all you want is to give. This is the first post I’ve read in 2011 and it’s exactly the one that needed to be first. Thanks for your brilliance. Love the spontaneity and the fact that it’s the first creation of the new year. Gloop on! 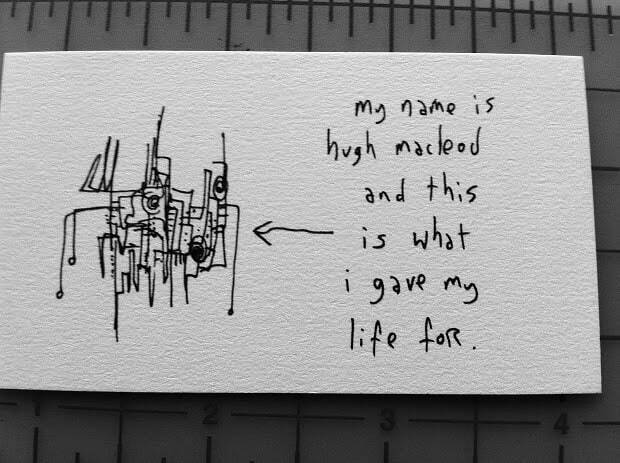 Hugh….what a fabulous post. I have always felt we as creative people are the luckiest people in the world. the artists soul…creating a new world to love. Thanks for your continued creative insight and inspiration. 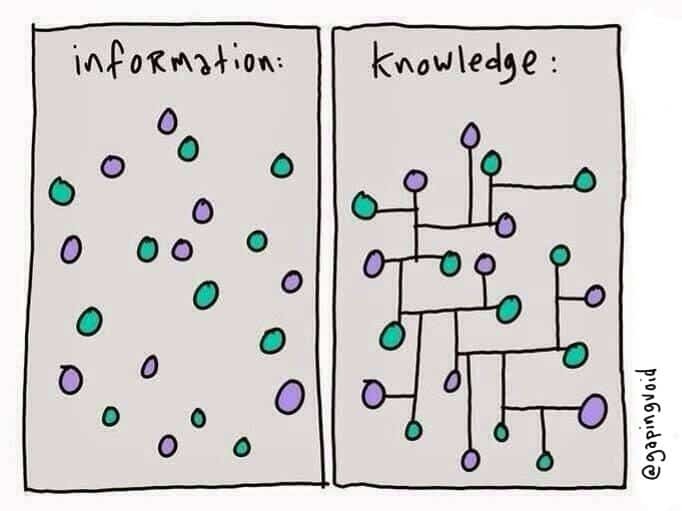 This resonates so well with my personal outlook on life and business. Never have I seen a single sentence that says it so clearly. Thank you so much for sharing it. Great piece. I find the easiest way to bring the “light” to random strangers is just smiling. It’s something that I was dared to do a couple of months ago (once the depressing winter descended on Montreal), and it’s totally working. Smiles beget smiles from complete strangers. And they make me feel better, so hopefully they’re doing the same for others.